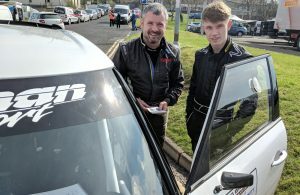 AFTER SS5: Eakin Bros Brian James Trailers Rally leader Desi Henry admitted to taking it steady and had a clean run through stage five as he bids to secure the event victory and maximum McGrady Insurance NI Championship points. Alan Carmichael felt he should have been quicker through the stage while Callum Devine set fastest time by a couple of seconds. He’s a lot happier behind the wheel now that he made some more setup changes to the car. 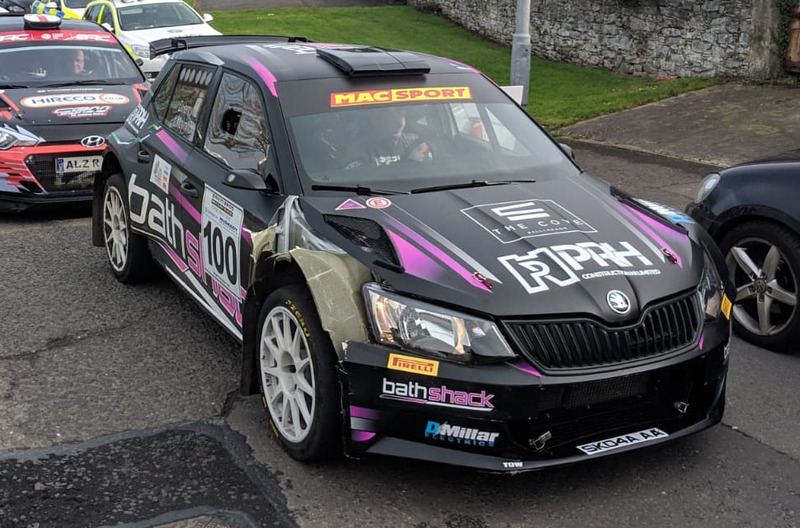 Derek McGeehan had a good run through stage five and he reckons his 20 seconds of road penalties may be scrubbed which could see him rise into a battle for third overall with Derek McGarrity and Ryan Loughran. McGarrity reckons his choice of a harder tyre was a mistake as he struggled to get heat into his tyres for the test while Loughran admitted he was driving harder than he wanted to be! 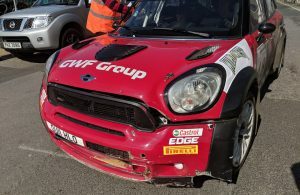 Sean Devine’s penalties have also been scrubbed while Mark Massey had a moment over a jump on stage five but survived to tell the tale. 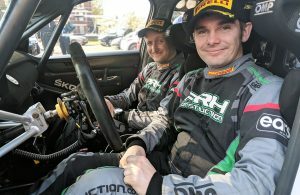 Alan Smyth had another steady run while Camillus Bradley has potentially moved into the top 10 with a strong run through the stage. Kevin Eves lost a handful of seconds with an overshoot and Niall Devine was full of smiles at the finish. Stage end live reports are available from fb.com/onthepacenote and results are available from www.rallyscore.net. ← Previous Story SS4: Allen Out, Henry Leads, McGarrity Up To Third, Feeney Lucky! Next Story → SS6: Desi Henry Wins in Strabane, McGeehan Tops Tables!